This stunning Ocean Front lot is spectacular in every way! 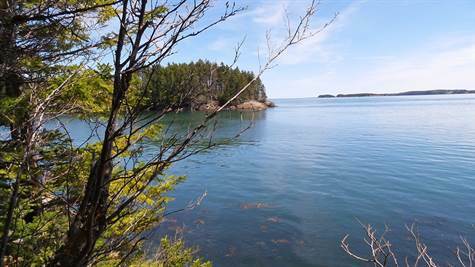 With 8 acres (+/-), bold frontage & views of Casco Bay, Spruce, Sandy & Campobello Island this is where dreams begin! So much privacy to call your own & with the Nature Preserve owning on one side close neighbors are a non-issue. The owner has spent many hours making this a hike to remember to the water’s edge with walking sticks along the way & handmade arrows directing you to some of most beautiful vantage points you have ever seen! Take a breath at the top where 2 chairs await you to bask in all its natural beauty! Deer Island boasts what Maritime Living Is All About with a free ferry from L’etete every ½ hr all 12 months of the year. Be Proud To Own This Little Piece Of Heaven On Earth!